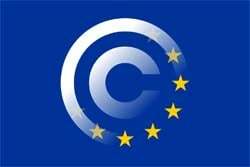 This week the EU Parliament approved the final text of the Copyright Directive, meaning that user-uploaded content sites, such as YouTube, will have to strike licensing deals with rightsholders to avoid liability. But how will that affect piracy-focused torrent and streaming sites? After the EU Parliament rubber-stamped Article 13 (renamed Article 17 in the final text) this week, speculation began in some media outlets that this signals the end of The Pirate Bay, ‘pirate’ streaming sites, and ‘pirate’ Kodi addons. Copyright law is complex, as the recent controversies over the Copyright Directive have firmly underlined, but a fairly detailed outline can be found in the adopted text (pdf) published this week. Teams of professional lawyers working for legal and mostly corporate platforms will undoubtedly spend hundreds of hours going through the text to fully understand what the future holds for various platforms that will defined as Online Content-Sharing Service Providers under the Directive. What is an Online Content-Sharing Service Provider? To begin, we can presume that most public torrent sites that operate like The Pirate Bay do not store content (only links to content) and most illicit Kodi add-ons are reliant upon sites that do host content – some or potentially most of it illegal. “The definition of an online content-sharing service provider laid down in this Directive should target only online services that play an important role on the online content market by competing with other online content services, such as online audio and video streaming services, for the same audiences,” the document reads. One can argue, strictly in this context, that both torrent and hosting/streaming sites (especially with piracy ambitions) fit that definition, but let’s continue. “The services covered by this Directive are services, the main or one of the main purposes of which is to store and enable users to upload and share a large amount of copyright-protected content with the purpose of obtaining profit therefrom, either directly or indirectly, by organising it and promoting it in order to attract a larger audience, including by categorising it and using targeted promotion within it,” the final text reads. Again, while torrent sites organize and promote links to content, they tend not to store it, but hosting and cyberlocker-type sites do. On the other hand, most platforms commonly used by pirates in the latter two categories don’t always organize and promote content on their platforms. This obviously excludes dedicated ‘pirate’ streaming portals that often display content in a Netflix-style interface. So how is it determined whether a platform can be considered an Online Content-Sharing Service Provider under the Directive? “The assessment of whether an online content-sharing service provider stores and gives access to a large amount of copyright-protected content should be made on a case-by-case basis and should take account of a combination of elements, such as the audience of the service and the number of files of copyright-protected content uploaded by the users of the service,” the text adds. Again, this is open to legal interpretation but it seems that most hosting platforms that are dedicated to piracy will have servers packed with pirated content. They will also be heavily frequented by pirates. As a result, such services will always be viewed as pirate sites by rightsholders and treated as such, i.e with contempt. This means that even if platforms do appear to qualify to be labeled as an Online Content-Sharing Service Provider, major rightsholders will never legitimize them by striking content licensing deals as required under Article 13 (now 17). First-run movies, for example, are simply impossible to license. On the flip side, dedicated ‘pirate’ sites themselves are extremely unlikely (even if they could) to begin full-scale cooperation with rightsholders to take content down and then demonstrate “best efforts” to keep it down “in accordance with high industry standards of professional diligence.” If they did, what would they offer? While some hosting sites do have takedown regimes, in the majority of cases rightsholders see ‘pirate’ sites as criminal operations that unfairly compete with their businesses. The bottom line is that under existing EU law, piracy-focused torrent and cyberlocker-type sites are already operating outside the law. One only has to look at the various blocking orders around Europe that have declared The Pirate Bay – and sites like it – to be illegal. Scooping platforms like this into Article 13 (now 17) doesn’t seem to be the key intention of rightsholders. The idea was to close the so-called “Value Gap” and the gap between paying something (in YouTube’s case) and paying absolutely nothing (in the case of torrent and streaming sites) is a gap that cannot be bridged. There may be some borderline cases open for legal debate and even negotiation but, at the moment, there are bigger fish to fry – YouTube and YouTube-like sites, in particular. There is still a lot of water to go under the bridge before the dust settles on this momentous occasion but it seems safe to say that the operators of The Pirate Bay and similar sites won’t really be extra-worried about Article 13/Article 17, because they’re on the wrong side of existing law already. TorrentFreak sought the opinion of Tim Kuik, the boss of Dutch anti-piracy group BREIN, who has more experience than most when it comes to taking action against pirate sites. We put it to him the theory that these kinds of platforms probably won’t be too affected by this week’s events, because they are already illegal under existing law, are unlikely to want to “go straight”, and rightsholders wouldn’t license or cooperate with them anyway.